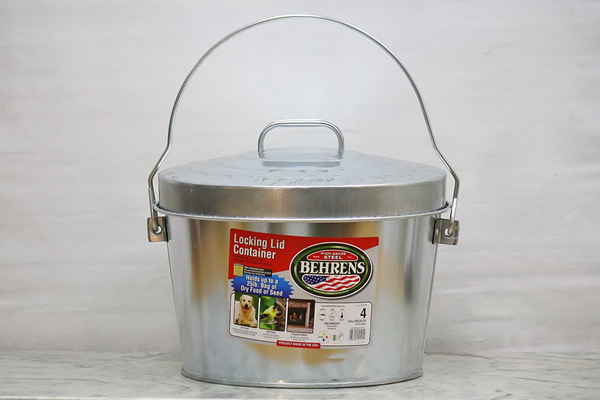 This pail features a locking lid that keeps pests or pets out of your dried food or bird seed. It is constructed from durable electro-galvanized steel that will not rust and can hold up to 25lbs of dried supplies. We also offer 6 Gallon and 10 Gallon styles. It only took a few days to get this after ordering. Great service.